George Velarde (94) recalled his first draw into the world of physical education. “I was a cross-country runner in high school, and I remember watching my coaches and physical education teachers having so much fun while building this great rapport with students, and I knew that was what I wanted to do,” he said. 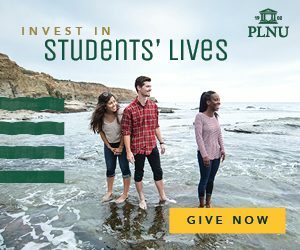 In pursuit of that calling, Velarde attended PLNU, where he earned his bachelor’s in athletic training while also running on the cross-country and track and field teams, and went on to earn a master’s in physical education from Azusa Pacific University. Little did he know then the part he would play in changing the landscape of physical education altogether. 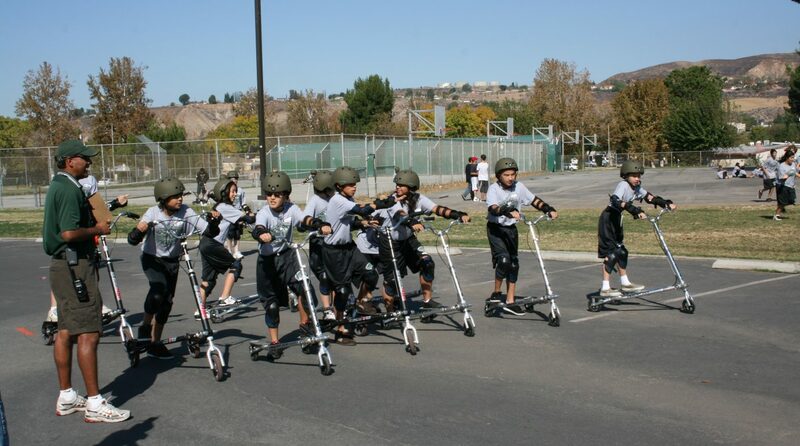 Now the director of physical education at Sierra Vista Junior High School in Santa Clarita, Calif., Velarde has created a program that is not just unique, but is unparalleled in excellence. Among its many recognitions, the program has led Sierra Vista to be designated an active school for First Lady Michelle Obama’s Let’s Move initiative, a demonstration center for the nation by the President’s Council on Physical Fitness and Sports, the model for Nike’s “Designed to Move” program, and one of the 25 coolest schools in America by Scholastic Parent & Child Magazine—each award a culmination of Velarde’s game-changing philosophy on student fitness. This approach has not only been received well by the local community, but also by state, national, and international communities. Sierra Vista has hosted educators and political leaders from around the country and the world, including government delegates from China, South Korea, Taiwan, and Canada; members of the U.S. Congress ; the California state superintendent; and the president of the American College of Sports Medicine. Additionally, Velarde has made presentations to Congress, boards of education, and international conferences promoting his “new P.E.” curriculum—a curriculum that has earned impressive reviews for the program overall, as well as for Velarde personally. Velarde has been awarded California Physical Education Teacher of the Year by former Governor Arnold Schwarzenegger and Junior High Physical Education Teacher of the Year by the California Coach’s Association, just to name a couple honors on his extensive list of accomplishments. While Velarde and his program are both garnering high praise across the board, inciting the same level of excitement from junior high students doesn’t come without its challenges. This is why Velarde makes sure to incorporate a couple of key components into his program. First and foremost, he stresses fun, encouraging his teachers to get out of their comfort zone, embrace their inner child, and mix things up as often as possible. This “keep it interesting” mentality incorporates a variety of activities, such as Crossfit and strength training, running and relays, as well as some traditional sports training. On top of making sure everyone’s having a good time, Velarde addresses the importance of bringing fitness into the 21st century. He recognizes his students’ love for all things technology, and has found innovative ways to bring screen time to physical education. From heart-rate monitors used during cardiovascular activities to televisions in Sierra Vista’s state-of-the-art fitness center, there is nothing old-school or outdated about Velarde’s approach to connecting with his students. The result of Velarde’s efforts have been nothing short of amazing, and as such, have started to affect much more than just physical education classes at Sierra Vista. Realizing opportunities to work with other departments, Velarde has found ways to mesh academia with fitness, printing shirts with vocabulary words on the back to increase retention as students wear them everyday in P.E. and displaying review materials for other classes on screens in the fitness center. And the benefits flow both ways, with every class offering students “brain breaks,” or 30 to 90 second in-class cardiovascular exercises to increase blood flow and refocus attention. Over the years, these methods have been studied by multiple universities, including Cal State Northridge and Purdue. And beyond being backed by science, they have produced results within the halls of Sierra Vista that simply can’t be ignored. With momentum at an all-time high and growing, Velarde is eager to keep improving the program. Prepared with what he calls a “checklist of crazy ideas,” which includes mountain biking, military- style obstacle courses, and an all-weather track, Velarde has no intention of slowing down, on or off the clock. When not teaching, Velarde implements his own fitness philosophy in other ways, such as coaching the cross country and track and field teams at Canyon High School, playing Frisbee golf as often as he can, and staying active with his family and biggest supporters: wife Erica (Allen) (95) and sons Jacob, 16, and Jayson, 13. And though he knows he must pass the P.E. baton at some point, he is content bringing a love of fitness to future generations for as long as possible. In addition to the joy he feels in directing this program, which he often refers to as “P.E. heaven,” Velarde is thankful for the opportunity to impact his students beyond just their physical health. Tiffany is a former staff writer for the Viewpoint magazine and contributing freelance writer.